IN A match that had an impact on both ends of the table, Currie Chieftains strengthened their top-four play-off hopes with a solid win while plunging Glasgow Hawks deeper into the battle to avoid the relegation play-off. After having just two Jamie Forbes penalties to show for their efforts at half-time on one of the gluepot back pitches at Old Anniesland, the Chieftains ran in three second-half tries from Mike Vernel, Archie MacLean and Angus Paton, with Charlie Shiel converting two. Hawks had led at the break through a Brendan McGroarty try which Scott Peffers converted, but in the second half could only add one other score, a try by Earland Oag, as they were outhought and outfought by dogged opponents who adapted far better to the murky February conditions. It was an arm-wrestle at times, but a thoroughly deserved victory for the Malleny Park club, who remain favourites to clinch second place behind Melrose when the regular season ends. “Listen, it would be nice to catch Melrose, but we would need them to slip up a couple of times,” Cairns continued. “It’s not just about that – it’s about us making sure we secure second and earn a home semi-final place. We’re in a good position to do that at the moment with two games to go until the end of the league season. Hawks were forced into multiple changes, with five layers away on Scotland Under-20s duty in addition to a number already on the injury table, and Finlay Gillies is all too well aware that a relegation battle now looms for his club. “That result is what happens when you don’t have enough possession,” the home head coach said. “when you have it, it pays off with points, and we didn’t have it. “That little ball we had always comes back to bite you and it did, but I am really proud of the boys’ performance today. They really dug deep. Currie rode their luck at times during a first half in which Hawks aggression and tempo made up for any other deficiencies. Forbes opened the scoring with an early penalty before Hawks, who lost influential No 8 Jack Steele to an early facial injury, took control of what was a largely scrappy half. McGroarty dotted down for the game’s first try after a cute exchange with Callum Harrison that split the Chieftains defence. Peffers added the extra points before Forbes’ second penalty reduced the the home side’s lead to 7-6 at the interval. After the break Currie illustrated why they are considered by many as genuine Premiership contenders, taking advantage of a weary Hawks side with a rampaging attack backed-up with a ferocious defence. Vernel, MacLean and Paton finished off wave after wave of attacking pressure to put the game beyond doubt, and although Hawks did give themselves hopes of a potential losing bonus point when Oag dotted down in front of the sticks, the Chieftains managed to hold their hosts at bay even when down to 14 men after Thomas Gordon was sin-binned for repeated collapsing of an attacking lineout. 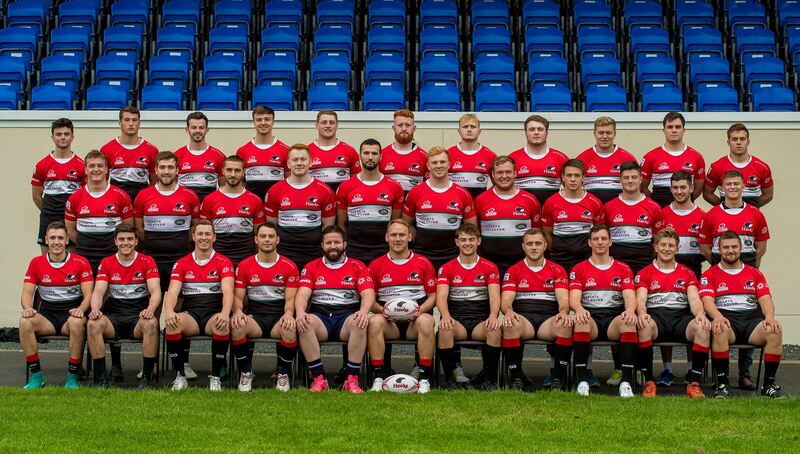 Glasgow Hawks: S Peffers; E Oag, R Beattie, B McGroarty, R Houliston; C Harrison, J Couper; S Findlay, P Cairncross, G Strain, S Leckey, A Linton, J Spence, C Kerr, J Steele. Subs: E Rintoul, J Gemmell, S Dow, D Milne, L Brims. Currie Chieftains: B Robbins; A Paton, D Hall, R Nelson, A MacLean; J Forbes, C Shiel; K Burney, F Scott, A McWilliam, H Bain, V Wright, M Vernel, T Gordon, R Davies. Subs: G Carson, C Mackintosh, S Ainslie, S McGinley, C Smith. Scorers: Glasgow Hawks: Tries: McGroarty, Oag. Con: Peffers. Currie Chieftains: Tries: Vernel, MacLean, Paton. Cons: Shiel 2. Pens: Forbes 2. Man of the Match: Chieftains scrum-half Charlie Shiel was lively throughout, keeping his side under control with a steely composure and ferocious defensive performance. He took over kicking duties when Jamie Forbes left the field and overall was a substantial factor in Currie’s securing victory. Talking point: Hawks losing Jack Steele in the 15th minute to an accidental facial injury led to a scrum reshuffle, with the hosts forced into fielding five front-row personnel in varying positions. The loss of Steele resulted in a lack of pace and penetration in the back row, lifters in the lineouts, aggression in defence and ball-carrying – all of which Currie capitalised on to control the breakdown and set-pieces.